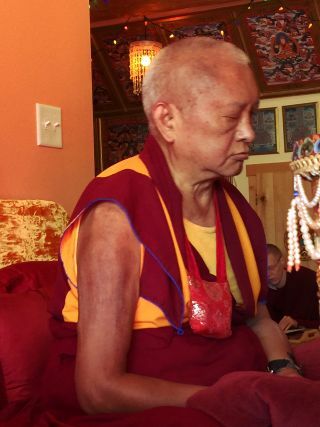 Lama Zopa Rinpoche during a puja offering, Washington State, USA, November 2016. Photo by Ven. Roger Kunsang. We invite you to read the November edition of the monthly FPMT International Office e-News – out now! The FPMT International Office News comes from your FPMT International Office, located in Portland, Oregon, United States. Visit our subscribe page to receive the FPMT International Office News directly in your email box.